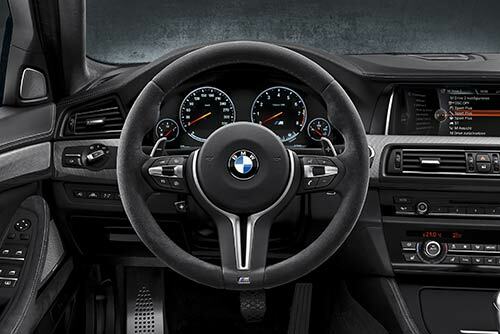 The BMW M5 is celebrating it’s 30th birthday. 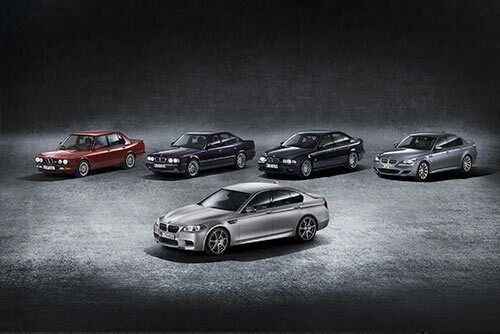 To celebrate BMW have released the special edition M5 30 Jahre Edition (30 years of the M5). With just 300 cars produced worldwide and only 30 destined for the UK this special edition M5 is likely to be an instant collector’s item. 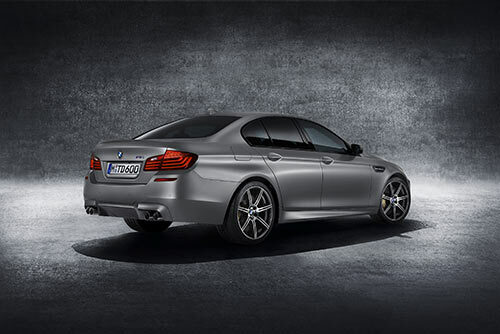 Under the bonnet of the BMW M5 30 Jahre Edition is the M5’s 4.4-litre V8 twin-turbo engine but tweaks to the engine management and an increase in charge pressure have lifted the output to 600hp, 40hp more than the standard model. 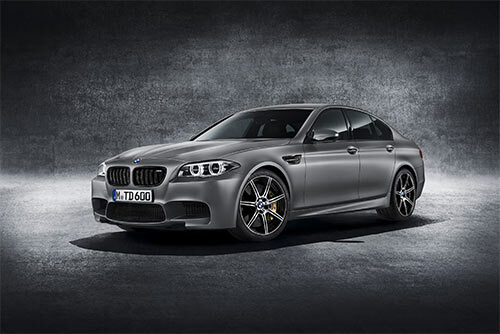 This makes the BMW M5 Jahre edition, not only the most powerful BMW M5 ever, but also the most powerful production car BMW has ever produced. 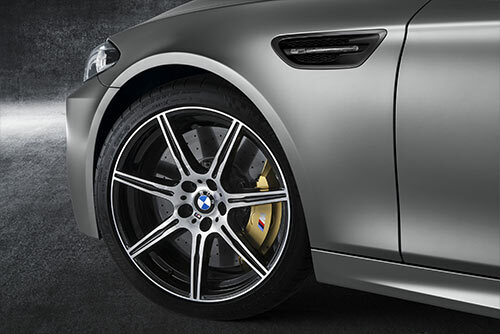 Each BMW M5 30 Jahre Edition is built around the suspension and dynamic upgrades of the optional M5 Competition package. 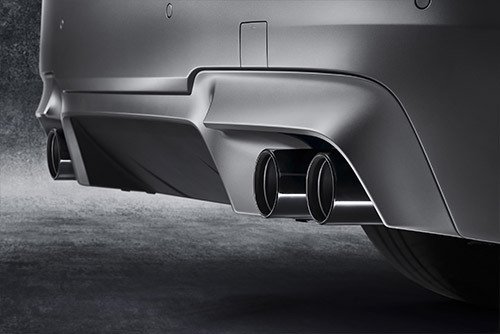 With firmer springs and dampers, a 10mm drop in ride height and a host of tweaks to the differential, steering and stability control, all engineered to improve traction and provide an even more sports focussed handling, compared to the standard M5. 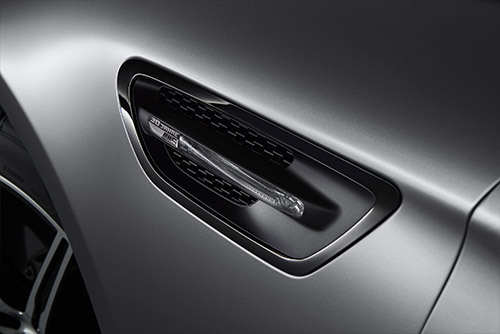 On the outside, the kidney grille surround, gills with ‘30 Jahre M5’ badge on the front wing, door handle inserts, twin exhaust tailpipes and 20-inch bi-colour M light-alloy wheels all come in black chrome. 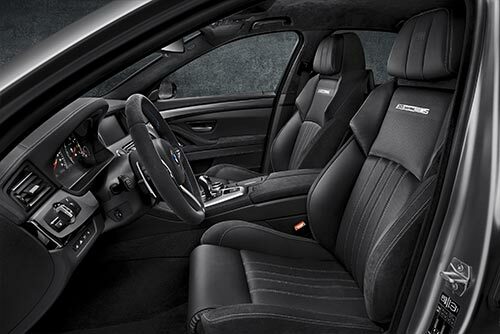 The interior includes exclusive touches that highlight the anniversary. 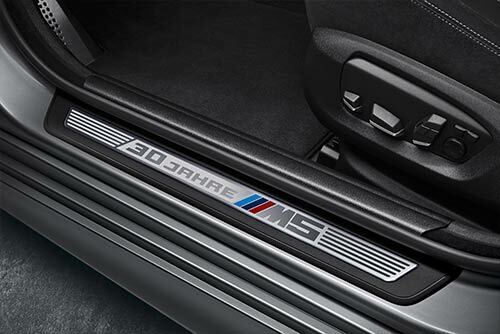 The driver and front passenger sills feature the ‘30 Jahre M5’ emblem, which is also embroidered into the backrests of all four seats. 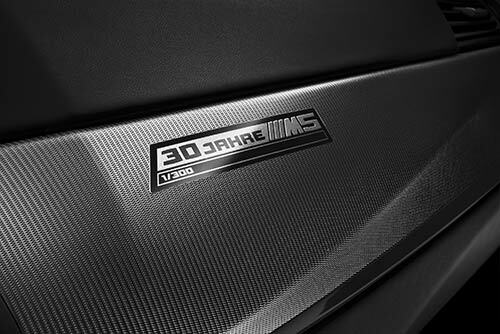 While each car also features a plaque bearing ‘30 Jahre M5’ and ‘1/300’. 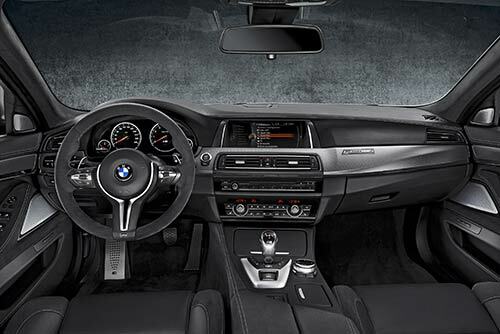 The M5 30 Jahre Edition represents an exciting new chapter in the story of the BMW M5, that began at BMW Motorsport GmbH in Munich in 1984, and continues to raise the pulses of car fans around the world today. It is on sale now and costs £91,890 OTR.